SUO Challenge #130 – Cards for Friends! Another SUO Challenge is on the rise - Cards for Friends! over at the SUO Challenge Blog. I always make a stash of cards, especially for my friends because they are so hard to come by, next to sisters, of course. A card for someone you care should have a special WOW signature on them. When they see details, the recipient knows that there is a lot of TLCs. I used the stamp set called Fabulous Florets (retired now) but still my all time favourite set. The technique I used on this card is called faux glass which is stamped on window sheet. I stamped the flower twice, colored, fussy cut and layered and then I used the heat tool to curl the plastic. 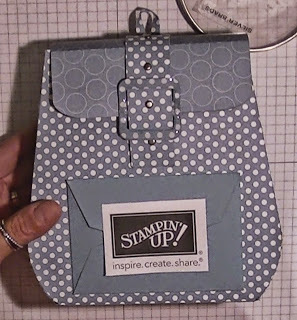 The sentiment is from the Sheltering Tree stamp set and the embossing folder is non-SU embossing folder as Stampin' Up! 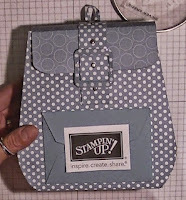 did not carry embossing folders at that time, (sorry!) but you can be easily substituted with the Lovely Lace EF which is similar to this one. I have a lot of unfinished stash and this time, I challenged myself to bring in something from the old to create something new. The old card had burlap strands wrapped behind the flower and I replaced it with gold metallic thread and finished off with a current sentiment. I also had a vintage button in the centre of the flower and I ripped that off too, and replaced it with a rhinestone jewels. I wanted show you that no matter how old the card / stash may be, by adding new products, it will make your card look new again. If you have any questions, please don't hesitate to email me. I will be happy to answer them. Love the glass flower. THanks for joining the challenge at SUO! Wow - that is the first time I have seen that done - way cool!!! And a beautiful card too!! Definitely a WOW card...love that glass flower! Thanks for playing along with the SUO Challenge this time!